I love these wallpapers! I used this giraffe one for my computer at work and it seriously puts a smile on my face every time I see it! Posted: 23 May, 2011 in Cool Links. Posted: 15 May, 2011 in Cool Links. Posted: 8 April, 2011 in Cool Links. Posted: 20 February, 2011 in Cool Links. Posted: 7 February, 2011 in Cool Links. Posted: 30 January, 2011 in Cool Links. Posted: 23 January, 2011 in Cool Links, Recommendations. 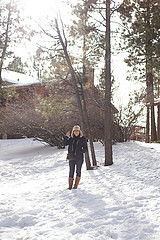 Posted: 17 January, 2011 in bucket list, Cool Links, Recommendations. Posted: 27 November, 2010 in Cool Links. this website has been making the rounds lately but I thought this one was especially funny! more from damn you, auto correct! Posted: 20 November, 2010 in Cool Links.